A semiconductor device usually fails mainly because experiencing situations that stress the semiconductor past its maximum ratings. The means a device stops working is known as a mechanism failure. Typically, electricity, heat, mechanical stresses, and other factors cause the semiconductor failures. It is relevant to draw a difference between mechanisms and the factors. In the production process, semiconductor devices may contain flaws due to the occurrence of tiny particles or differences in production equipment and process of reading semiconductor samples (for example, samples from the outer areas from the wafer was used for evaluation and normally this section should be discarded). The percentage of reliable products obtained is called as the yield. Devices with a higher yield have a lower defect density, while products with a lower yield have a greater defect density. Generally, the time period of premature failures is specified as the first year of a product lifecycle. 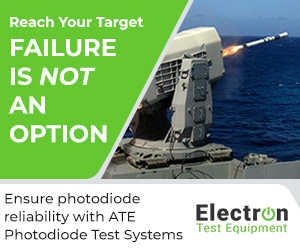 To reduce the failure rate of the semiconductor in this time, semiconductor producers are seeking to improve quality by introducing an assessment process that can include stress, burn-in, and other types of tests to meet reliability and certification requirements such as Telcordia (Bellcore) GR-468-CORE or Military Standard. As the failure rate in the earlier failure time frame lessens with duration, once the samples with defects are scanned out, only the products with a low probability of failure are left which in turn allows companies to bring high-quality semiconductor devices to the market. Due to the fact the screening procedure itself entails a trade-off between quality and cost, it is desirable to set assessment conditions by investigating the usage of the hardware and the quality requirements. 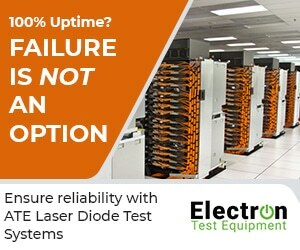 Utilizing ATE (Automated Test Equipment) that will measure at the same time samples of 64, 128, 256, 512 or 1024 can drastically increase semiconductor reliability. If you take measures as minimizing the defect rate of your semiconductor in the manufacturing stage and designing a layout that helps to prevent flaws, you will reach a high level of quality and a reduction of early semiconductor failures as well as acquiring a higher yield ( top quality production).